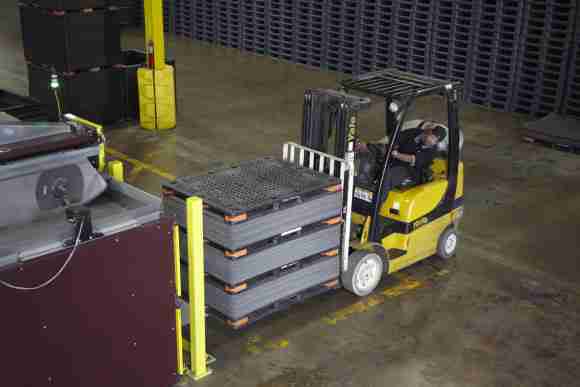 This article introduces the use of reusable packaging and pallets in beverage applications. It is the first in a series introducing the use of reusables in a variety of industries. They’ve caught your eye in supermarket floor displays of Pepsi, Coca Cola or Red Bull, and you’ve probably navigated your shopping cart around stacks of them used for holding jugs of milk. Then again, they stand ready to serve when you have a thirst for your favorite brew on tap. 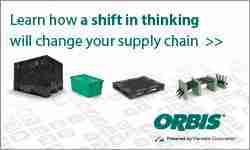 For decades, the success of the beverage sector has in large part quite literally been carried by reusable packaging and pallet system applications, including the use of reusable primary, bulk, secondary and tertiary packaging. This article takes a look at the basics. Reusables have been around as long as beverages have flowed. The use of reusables for shipping beverages dates back Centuries to ancient Greece, where amphoras were deployed for use in the wine trade. Wood barrels were also used by the ancient Mesopotamians to ship wood, according to records from the Greek historian Herodotus. Wood barrel usage became more widespread during the Roman Empire. In the modern context, the use of wood beverage crates and refillable glass bottles dates back well over a Century. Milk bottle patents, for example, began to appear in the 1880s. Ultra Pallet® has been adopted by Coca Cola, Heineken and other beverage producers in Latin America. Today, many beverage applications remain perfect for the use of reusables, explains David Gonzalez, sales manager for plastic pallet and packaging supplier PTM, because distribution characteristics such as short distance local distribution, high volume and frequent delivery result in quick turnaround and high recovery rate of empty reusable packaging. 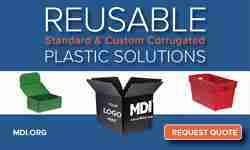 In addition, the robust design of reusable containers provides better stability and product protection than expendable packaging. PTM, manufacturer of the Ultra Pallet®, has considerable experience in finding solutions for the challenges of the fast paced soft drink and beer applications. The beverage sector includes a range of categories with including dairy, soft drink, beer, and liquor, with a predictable range of responses in terms of reusable packaging. Additionally, specific customers may also influence the use of reusables. 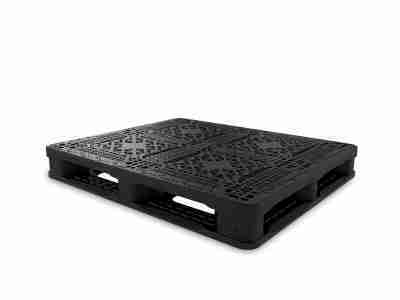 For example, large retailers may have specific policies with respect to pallet types or reusable trays accepted and whether or not they will induct and return reusable packaging. Small convenience stores, pubs or restaurants, on the other hand, are often more amenable to using the beverage supplier’s packaging system – although at times not so adept at ensuring their safe return versus loss or theft. Reusables easily identified in the beverage sector include such items as refillable bottles, crates, pallets and lids, kegs, barrels, cages, bulk containers, layer pads, top frames, and reusable wrappers. 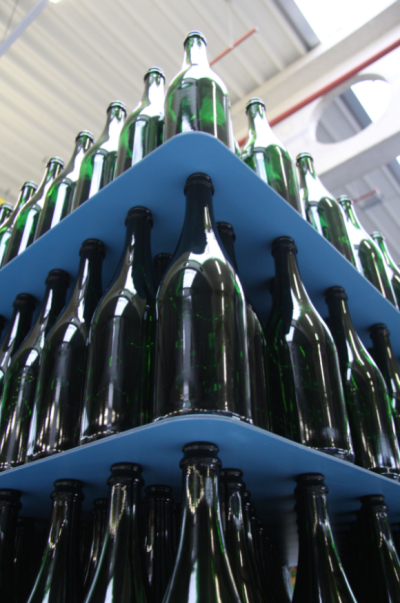 Reusable primary packaging in the form of reusable bottles is still actively embraced in some applications and in some regions, such as the beer industry. In Ontario, Canada, over 99 percent of refillable beer bottles are returned for deposit, with an average life of 15 fills. Such a program dramatically reduces the need to purchase new bottles, as well as to recycle or dispose of single-use containers. Refillable bottles are also very popular in other countries. One trend that is threatening bottle reuse programs, however, is interest in product differentiation and single-use containers. Aside from the drive to create more interest in products through differentiated packaging, as products become more specialized and generating lower quantities of any particular item, they often are produced at specialized plants at much greater distances in order to achieve adequate production volume. The combination of longer shipping distances, lower volumes and the advantage of weight reduction for longer shipments can make the use of refillable bottles and reusable crates less attractive for such niche beverages. 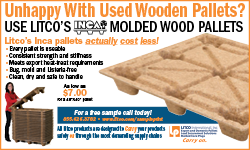 Continue to Page 2 for more on secondary packaging, bulk packaging, pallets and 3rd party services – plus trends.